“TalentConsult” brings up the meaning of consulting talents to the right path and achieve a success career. 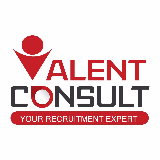 In Talent Consult, a very systematic and complete hiring flow will be customizing for our client in a very detail and informative manner which render our client effortless and effective recruitment cycle. We believed that by our supply power and diverse potential from the talents all over Malaysia, recruitment sector won’t be a part of issue for your Human Resources department.